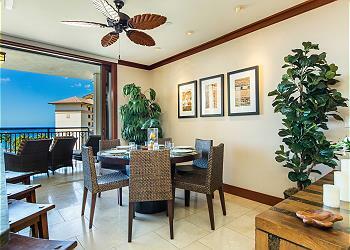 LOCATION: This Villa is located on the 7th floor of the Ocean Tower at the Beach Villas at Ko Olina right on Lagoon 2. 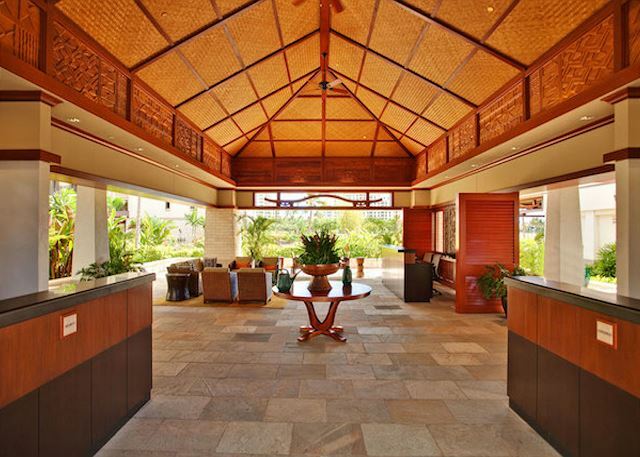 Enjoy direct ocean-facing views and beautiful garden and pool area views from this luxury Beach Villa at Ko'Olina. This well-appointed 1,171 square foot 2 bedroom 2 bathroom 7th floor Beach Villa has direct ocean views overlooking the lap pool and koi ponds. 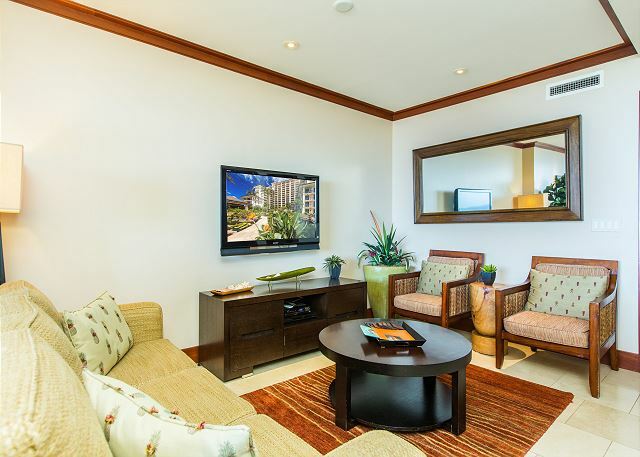 Featuring high-speed wireless internet, full kitchen and dining area, flat screen TVs throughout and a wide array of resort amenities within close proximity are some of the many benefits Guests will appreciate. This 2BD 2BA 1,171 sq. luxury condo on the 7th floor of the Ocean Tower is conveniently located just 20 miles from Honolulu International Airport on the beautiful southwestern shores of Oahu. 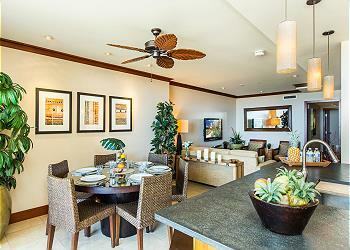 The kitchen, dining, living and lanai areas provide water/ocean-facing views. 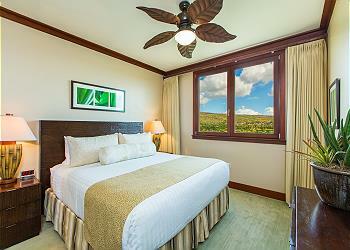 Both bedrooms have golf course and mountain views. 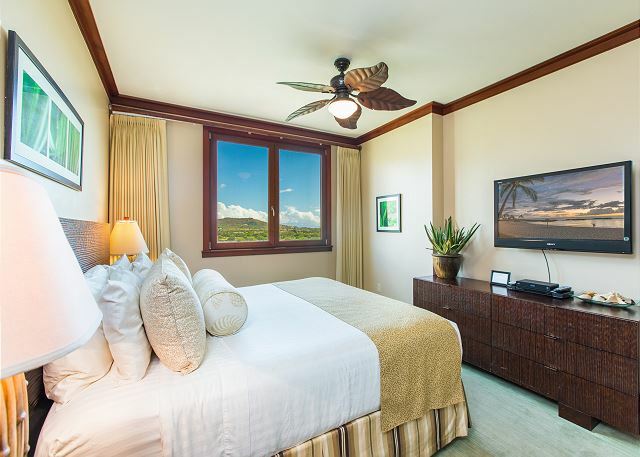 The four pristine beaches and lagoons are just a short walk from your Villa and offer a safe and secluded setting for guests of all ages to swim, snorkel, sunbathe, build sand castles, walk, run, or nap. 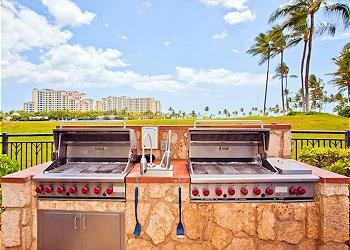 The possibilities are truly endless when it comes to fun in the sun at Ko'Olina! See the Floor Plan image for the Villa layout. 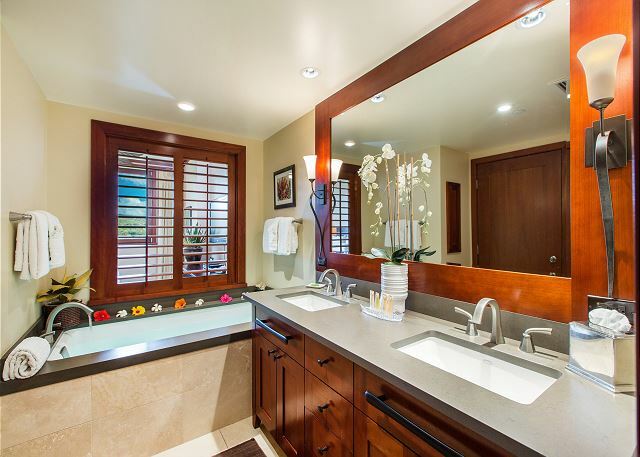 The Master Suite with en suite bath provides a beautiful golf course and mountain view, King bed, flat screen TV, ceiling fan, dresser drawers, AC thermostat, separate deep soaking tub and shower, dual sinks and walk-in closet. The 2nd Guest bedroom has two twin beds which can also be converted to a king bed (with advance request/notice), and also features lovely golf course and mountain views. Flat screen TV, ceiling fan, dresser drawers and closet space. 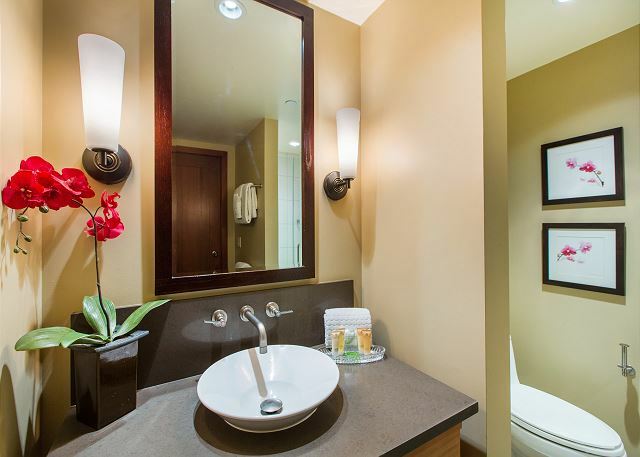 A bathroom with glass/tile shower is in the hall a few steps from the bedroom. 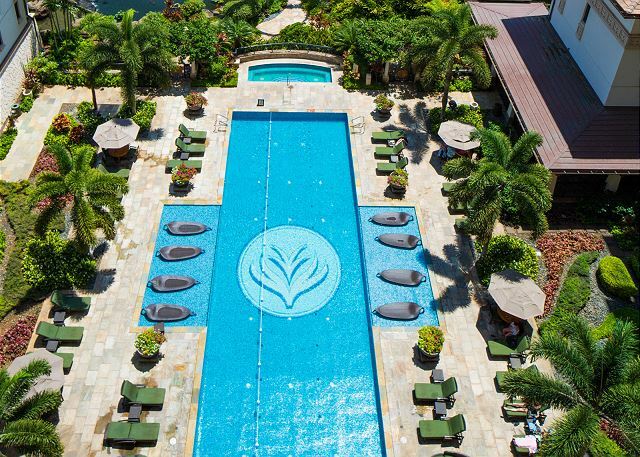 The Ko'Olina Resort is truly the hidden gem of the Island of Oahu and beautifully embodies the natural elements of sea, sky and land. Ko'Olina is home to numerous shops and restaurants and some of the nicest beaches available on all of Oahu. 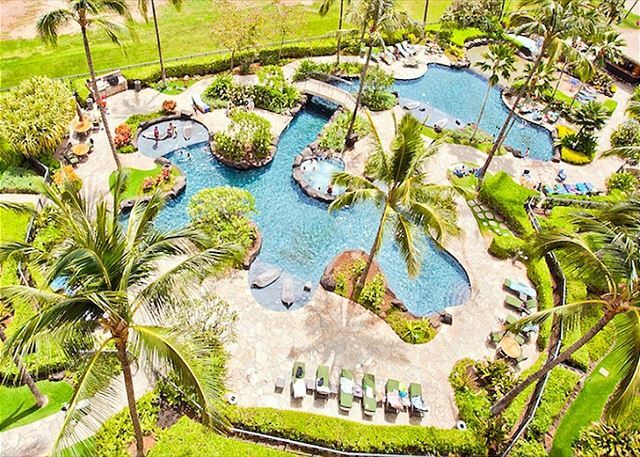 Lagoon 2 (or Honu lagoon, for turtle), fronting the Beach Villas at Ko'Olina, is without a doubt the most private and exclusive of all four ocean lagoons. 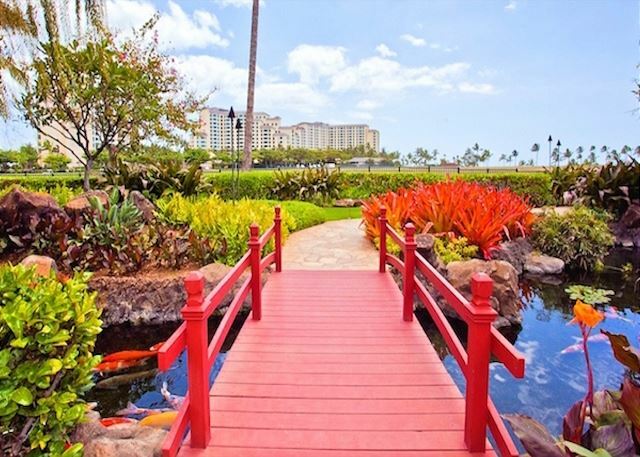 A 1.5 mile walking/jogging path connects all four lagoons and beach areas, and is a convenient way to access the shops and restaurants at the other resort properties. Ko'Olina offers the ultimate Hawaii resort vacation experience, along with the conveniences and comforts of modern-day shopping, dining and entertainment with a myriad of offerings within the resort itself as well as nearby Kapolei. 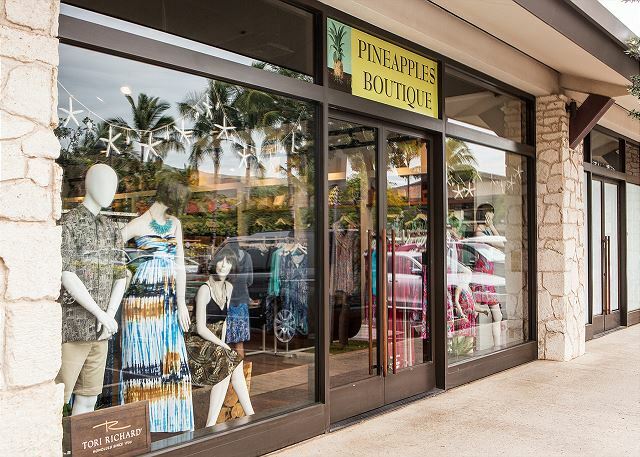 The third largest mall on Oahu is only a 10-15 minute drive away and Guests can also enjoy shopping at Costco, Target, Foodland, Safeway, Down to Earth and Island Country Market. Several movie theaters are within a 10-15 minute drive and there are easily 50+ restaurants to choose from between those in the Ko'Olina Resort and nearby Kapolei. Please note that this is a 100% Smoke free and Pet free Villa. Owners and Guests have sensitivities to cigarette smoke and pet dander and we appreciate your cooperation in this area. 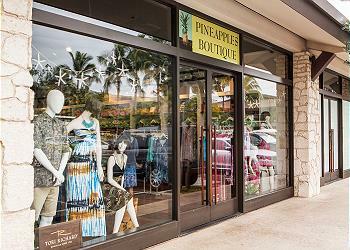 Mahalo for your understanding! (2nd time rented) was as we remembered and had some new upgrades. 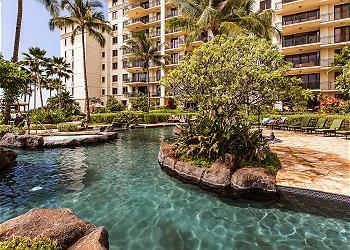 I highly recommend using their services and working with Amber to book your next stay in Ko Olina. 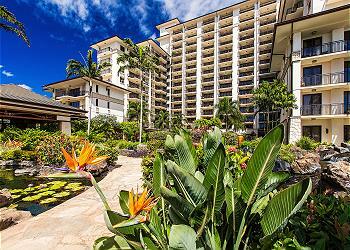 The common property and grounds are well taken care of and staff is very friendly. We had a wonderful time at the villa. Suzanne was great at giving us a tour of the complex, and shared many tips with us. The villa had everything we needed in it. The view ad amenities around are so good, that we barely had to leave the location! We had a fantastic stay. The staff - Jared and Amber provided us with the best customer experience we have EVER had in our travels. And the property was impeccable and perfectly set up. We will be back many times in the future and recommend it to anyone. The rooms were luxury, kitchen fully function able as it is at our home - and the property and proximity to the beach and shops was perfect. Such an amazing time. 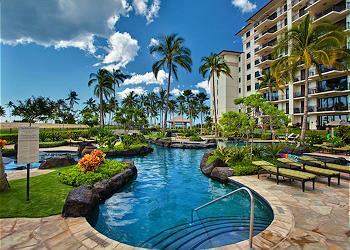 Very pleased with the villa and the overall resort property! 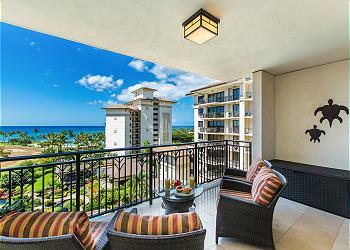 Unit was clean, well stocked and the view from the lanai can't be beat - large, comfortable chairs for 4 adults to relax in. 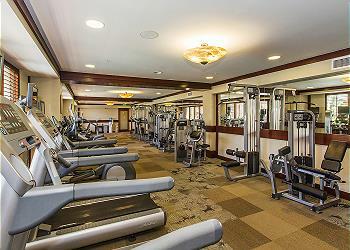 The fitness studio was incredibly well equipped and offered lots of options. Plenty of restaurants within walking distance. Very pleased with our stay! The views were spectacular! The villa was gorgeous and offered every amenity of a home away from home. 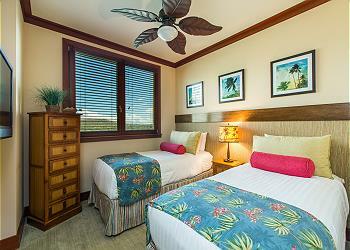 The staff is great - answered any questions and could handle any accommodations. 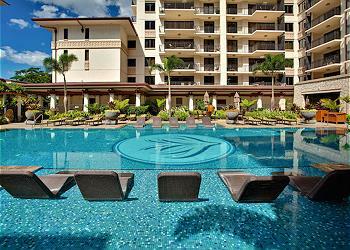 The beach, swimming pool and jacuzzi were very inviting and not crowded as nearby resorts making it a pleasure to relax and enjoy. 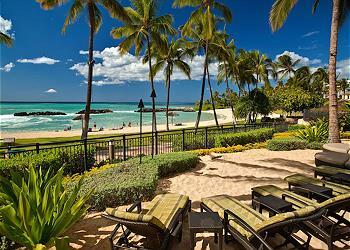 We truly loved our visit to the Ko Olina Beach Villa on Oahu. 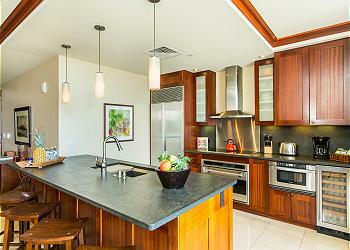 Great villa rental, quiet, clean beach and had all the nice amenities for families! Beautiful property to watch the sunrise and sunset. Great beach areas and jogging paths. Loved this area as it was much less busy than Aulani and the Waikiki area. Really enjoyed our stay at Ko Olina Beach Villa the swimming pools are amazing for families. 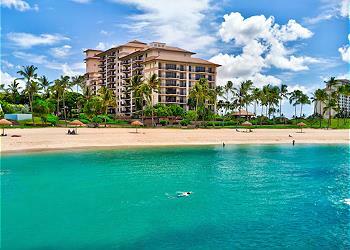 We had a fantastic time here in Ko Olina. 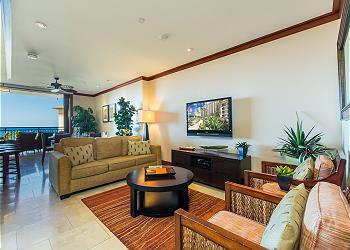 The condo had everything you needed. Views were amazing from the balcony. We will definitely stay here again as it is nice and quiet with lots of space. We wandered over to Aulani a few times and walked through it and thought to ourselves "this place is super busy and cramped". 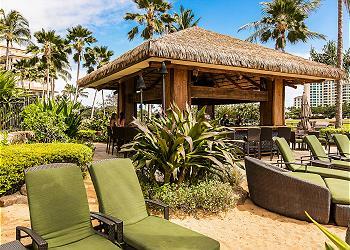 It definitely is a resort there while at the Beach Villas you never have that feeling. It was a very nice holiday all around and look forward to coming back in November. This was the perfect place to stay for quiet and relaxing time away from it all. On arriving we were greeted by Munro and given an introduction to the property. Throughout the week we had great weather, awesome views of sunset, and the property was clean and well-maintained for guests. The apartment had a nice set-up for cooking when we wanted, and a cooler for taking on a picnic. We rented a car and drove around Oahu, went whale-watching on the Waianae coast, shopping in Kapolei, wave-watching on the North Shore, sight-seeing all around the island, and enjoyed a great dinner at one of the local restaurants in Ko Olina - Monkeypod Kitchen. The property pools and access to lagoon 2 were perfect for us - away from the hustle and bustle of some busier areas. We appreciated the straight-forward booking and payment process, along with very clear directions and coordination for our arrival.